In order to maximize the quality of your photography you'll need to master the basics of exposure, if you haven't already. While it's true that you can make adjustments to exposure during post processing, it's preferable to get it right when taking the shot. You can't always get prefect results when adjusting the exposure during post processing, not to mention that you will save loads of time by getting it right at the time of the shot. 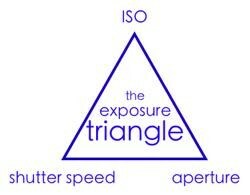 The exposure triangle consists of ISO, shutter speed, and aperture. 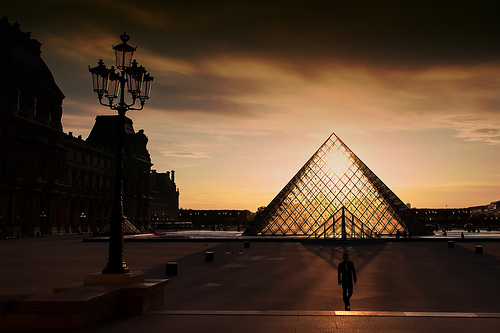 In order to expose your photos properly you'll need to understand the concept of the triangle and each of these 3 factors. For a more detailed explanation see Learning About Exposure - The Exposure Triangle. If you're interested in challenging yourself and pushing to learn new things, consider giving yourself assignments whenever you're working on your photography. With an assignment you're really just helping yourself to stay focused, which is a great way to improve your skills. For example, rather than just going out with your camera to the park you could give yourself the assignment of photographing the flowers at the park. The assignments can involve any aspect or any type of photography that you would like to improve upon. You could set out to capture sunset photos, take candid shots of strangers, restrict yourself to using a particular lens, photograph buildings in the city, take long exposure shots after dusk, or just about anything you can think of. If you regularly take on the challenge of different assignments you can learn rather quickly through the experience. If you're looking for some ideas, see this 30 Day Photography Challenge . Lighting is no doubt one of the most important elements for photography. The same scene shot in two different types of light can look drastically different. One of the most effective ways to take better photos is simply to shoot with better lighting. If you're shooting outdoors you'll want to consider taking advantage of the golden hours and (usually) avoiding harsh mid-day lighting. If you're indoors you may want to find a way to get more natural light, like shooting near a window, or place more emphasis on your studio lighting setup. This article on studio lighting setups can be helpful. If you're shooting in auto you'll want to move to manual mode in order to get the best results. Shutter priority and aperture priority are also good options, and they can be especially helpful if you're overwhelmed by the thought of going to full manual mode. In auto mode your camera may get it right sometimes, but to take your photography to the next level you'll need to take more control than is possible in auto. This may sound counterintuitive, but there is good reason for it. This point is not that you should photograph less frequently, but when you are shooting you should be more selective with the photos you take. By taking a huge number of photos you may fall into the spray-and-pray mentality, whether it is intentional or not. Rather than taking countless photos of the same subject or scene, be more selective with the photos that you take and it can force you to take your time and improve the quality of those shots. Another major benefit is that it makes your post processing much easier and less time consuming. 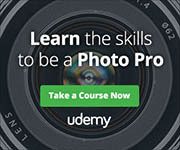 It's easier to identify your best photos and you won't get overwhelmed by needing to edit hundreds of photos at a time. Rather than just photographing a subject that you want to capture, place an emphasis on creating outstanding compositions. 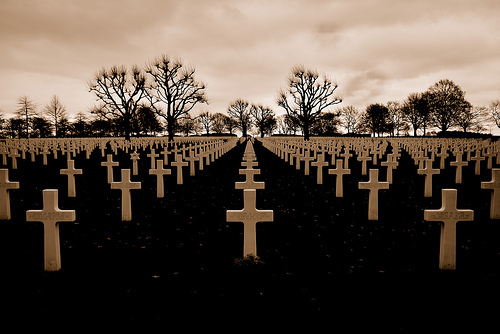 Typical "rules" like the rule of thirds and the golden ration can help. Aside from the standard rules that are commonly followed, try things like using interesting perspectives and angles, as well as making use of leading lines and vanishing points. Most photographers would rather spend their time actually taking photos as opposed to sitting at the computer in Lightroom or Photoshop. 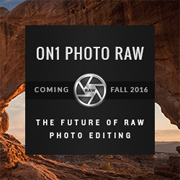 However, with digital photography, especially if you are shooting in RAW files, at least some degree of post processing is necessary. It's important to learn the basics well so you can work efficiently and effectively, leaving plenty of time for the more enjoyable aspects of photography. Part of improving involves getting feedback from others. Of course, you can always ask friends and family to give some feedback on your photos, but if you want specific critiques you may need to seek feedback from other photographers. Sites like Focussion exist specifically for the purpose of constructive feedback. 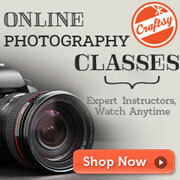 Most popular photography forums, like Digital Photography School and Photo.net also have specific forums for requesting critiques and feedback. You can also find some photography blogs that post photos for critiques, but most of these blogs don't publish a lot of these types of posts, so it may be difficult to get your photo posted. Improving is much easier when you know what specific areas of your photography need the most improvement. Take a critical look at your work and your experience and find a few areas where you are either weak or where you would simply like to focus your improvement. You can use these weaknesses when setting assignments for yourself (as mentioned in point #2) and work towards improving in these areas. It doesn't matter how much experience you gain as a photographer, continual growth and development is always important. Take the time to experiment, try new things, and emphasize your continual improvement going forward. About the Author: Marc Andre is the editor of PhotographyPla.net, a website that offers downloadable products like Photoshop actions, Lightroom presets, photo overlays, textures, and print templates. Have to heartily disagree with the urban myth of shooting in manual mode to give the best results. It [i]may[/i] not require manual in order to get the best results, but you can’t possibly claim that it does not give the potographer more freedom in their quest for the perfect frame. You may refer to photojournalists and surely, they don’t necessarily fiddle with their camera as much as others, given that their job is to capture the moment as realistically and as fast as possible when other kind of photogs actually do have time for that. TL;DR – I think you’ve got an almost fair point, but I have to disagree with you. I’m working on my photography skills, this was a great help. I never really thought about taking LESS pictures before….but I see your reasoning. Number 5 is the worst tip ever! Rather take more photos so you have more amazing photos to choose from because if you only take a few you might have missed that perfect shot. 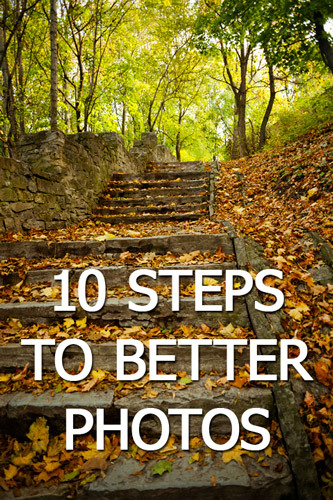 I totally agree with the author’s suggesting of taking fewer photos. Read again his reason which has been giving by so many photo gurus throughout 20th century. If one is talented and serious, you don’t need to waist and wait accidental chance to come out from your piles of photographs of the same thing. I am trying to learn photography. Thank you for all these wonderful tips! They all make sense. I agree, don’t waste your time with taking too many photos. When I started I took a gazillion photos only to spend hours and hours, trying to go through them to pick the best ones and using up prime space on my hard drive. As you get more experience you will know what to look for and decide which angles would be best and ultimately start taking fewer shots and save yourself a lot of time in post processing.